Yesterday was the last day of our summer school program. Did you hear me sing for joy?! I wanted something special for our math session, so we played "I Spy" using addition sentences. Yesterday was also our pinterest party day! My friend Brittany makes bows and she taught us several kinds. Here's a picture of one of my bows. Today I am linking up with my friend Andrea, at Reading Toward the Stars! for Book Talk Thursday. 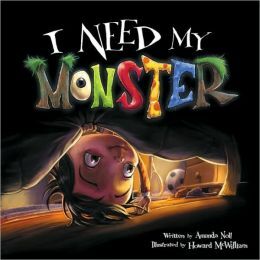 My book for this week is called I Need My Monster, by Amanda Noll. One of my sweet firsties purchased this book for me last year during one of our Book Fairs. Our primary children read this book in library classes because it was a Virginia's Reader Choice book. The story is about a little boy who, when heading to bed one night, finds a note from the monster who lives there, that he is on vacation to go fishing. The boy doesn't know how he will get to sleep without Gabe being there. Other monsters show up to try to scare the boy, but none of them are able to accomplish the task. It's a cute story, especially if you love monsters! 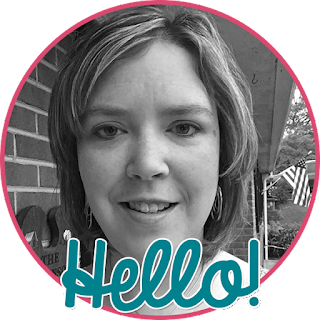 I'm having a Pinterest party next Wednesday! Can't wait!! Ginny Beth has loved her flou-flous! That book looks adorable! I will have to read it when we get back to school in less than two weeks! Thanks for linking up! My kindergarten kids and I read the monster book last year and loved it. Only one monster is a "just right" monster.